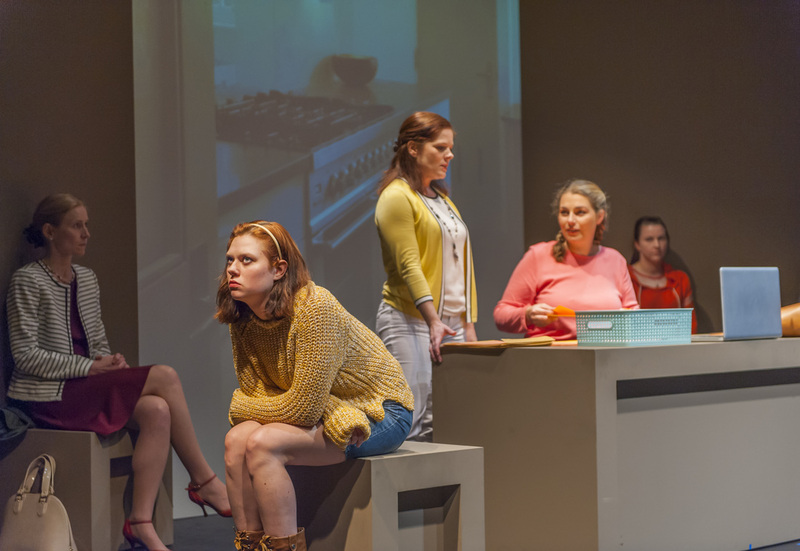 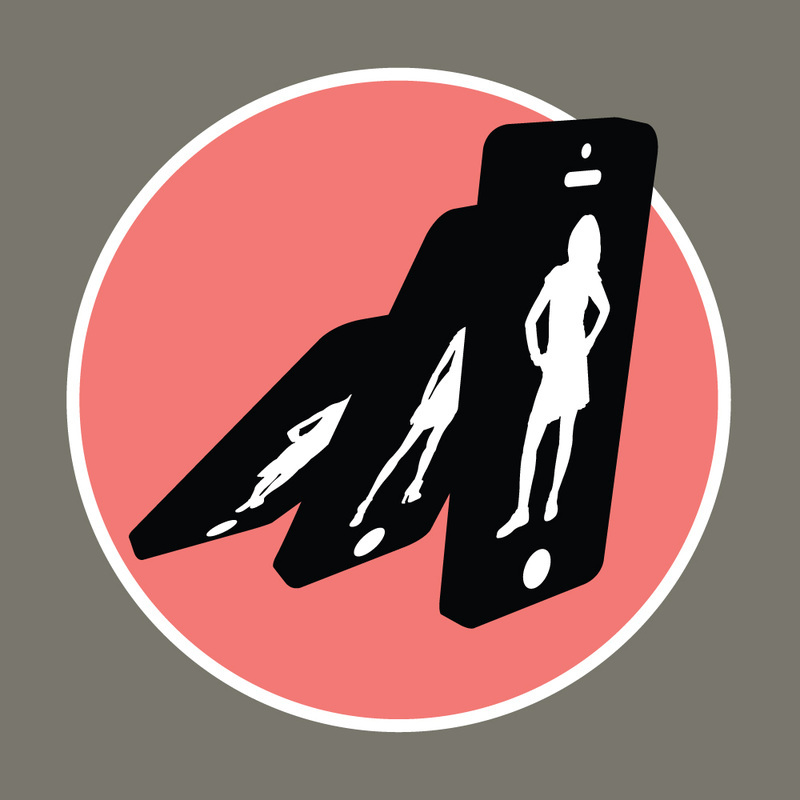 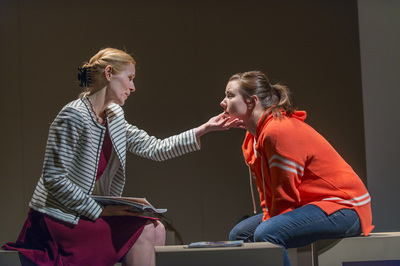 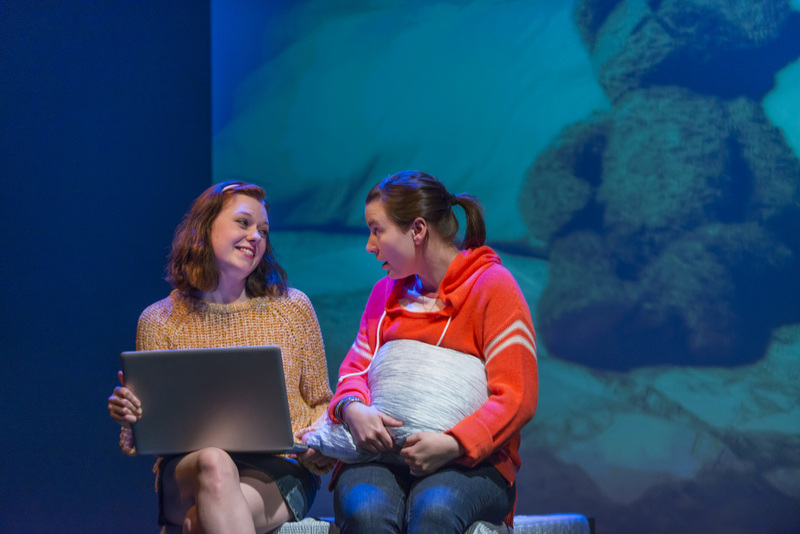 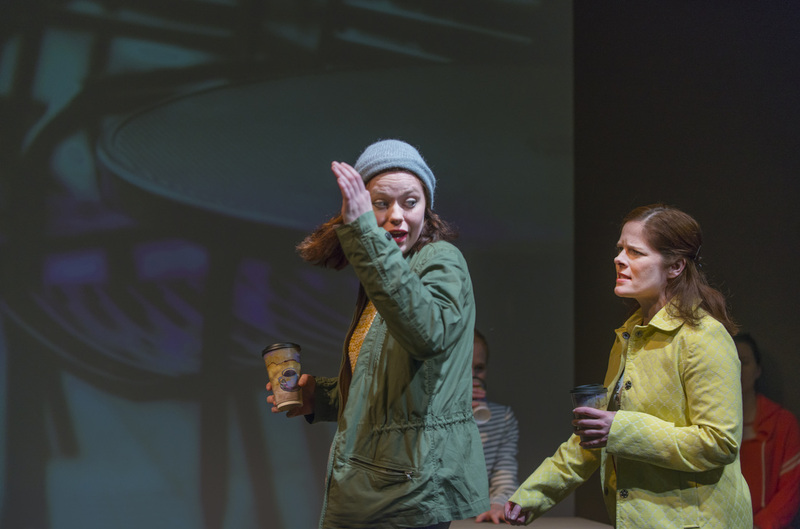 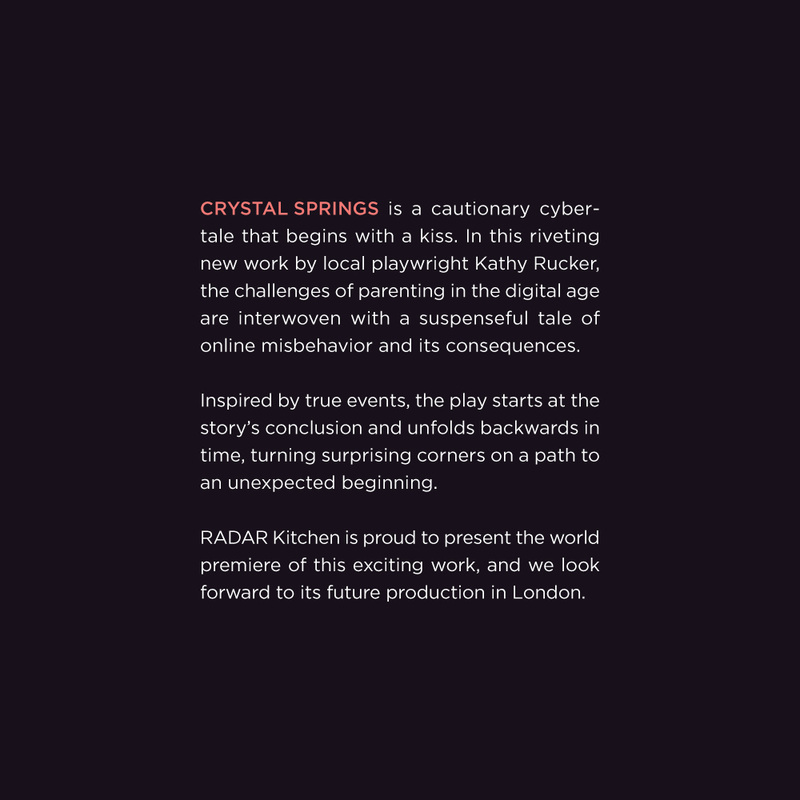 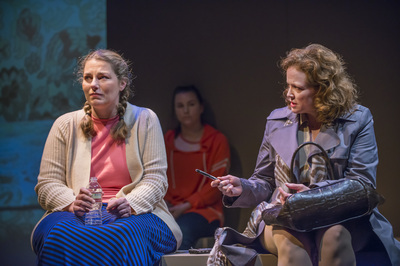 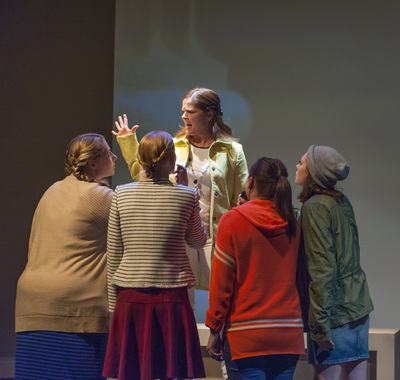 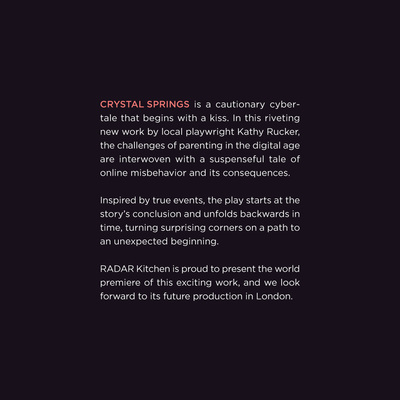 CRYSTAL SPRINGS – a suspenseful tale of online misbehavior and its consequences – premiered in San Francisco and traveled to the Park Theatre in London. 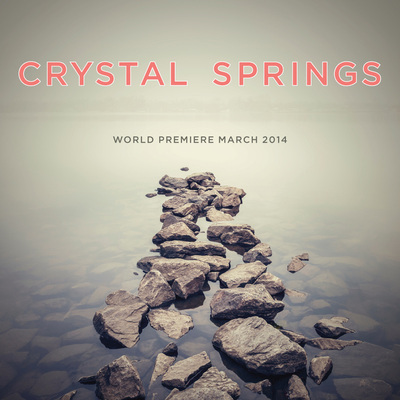 I produced the show and contributed to the PR and marketing, which included creating the teaser video to the right, designing and building the website, and managing the Facebook social marketing campaign. 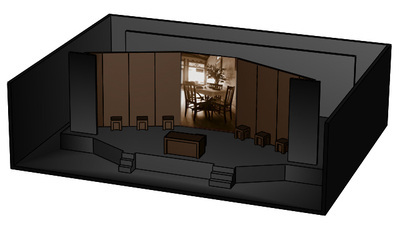 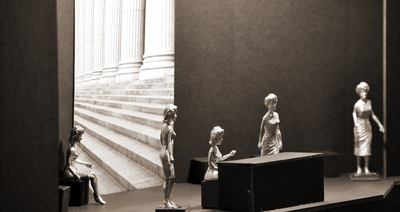 I also designed the set for the San Francisco production.